With the sun beating down on us with a vehemence it is only clever to keep us well hydrated through out the day and avoid venturing out into the hot sun. I have started making this daily in the morning and keep it ready in the refrigerator as this is very simple, quick to make and also happens to be our favorite. Hubby Dear and FIL loves this buttermilk to bits. In a blender, blend together curd, water, lemon juice and salt. Transfer to a serving Jug. Heat a kadai with oil and temper with mustard seeds, asafetida, green chilllies, curry leaves and pour over the blended buttermilk. Add and mix chaat masala powder, black salt and coriander leaves well into the buttermilk. Cool spicy masala buttermilk is ready. Refrigerate and serve cold in tall glasses. 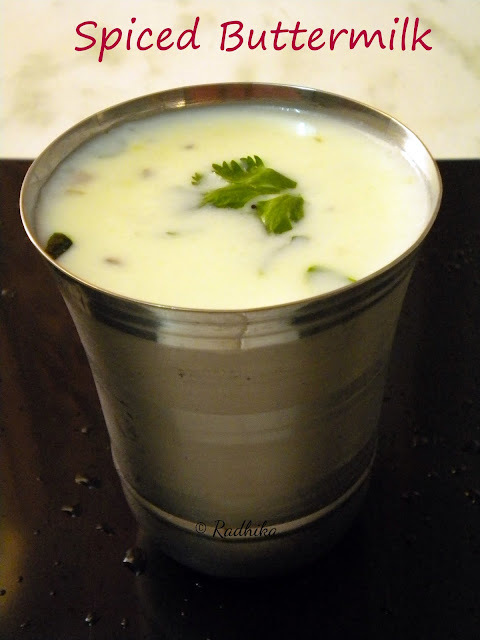 Use Chilled curd and water for immediate use. You can also grind coriander, curry leaves, ginger and green chillies to a paste and add it to buttermilk. Chilled buttermilk will definitely help to cool off…looks very delightful. Really refreshing drink for this summer. A delicious drink and great for summer. Perfect for this scorching heat in my town!! this is the perfect drink to beat the intense Indian summer! looks so refreshing! I love this butter milk, its regular in our home through out the year. Best thirst quencher of all times. Perfect drink for the summer…looks so refreshing! I love spiced buttermilk. Looks yummy. 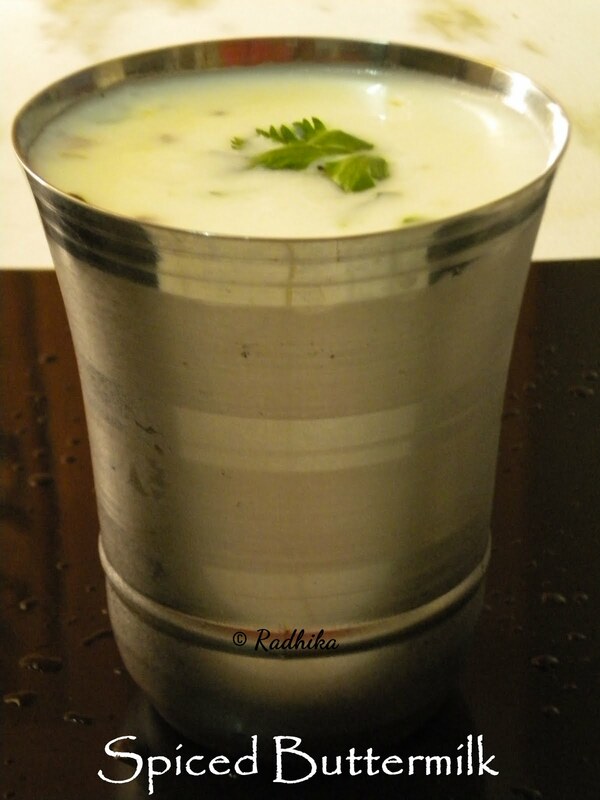 Buttermilk looks perfect thirst quencher and body cooler,nice click! Feel like having this wonderful thirsty quencher,yumm! Buttermilk looks yummy, tempting and refreshing. 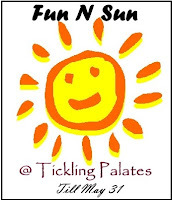 Perfect for summer season. Hey..thanks for dropping by and leaving a lovely comment 🙂 Me following u too! Very refreshing neermor…I can have this even on a rainy day !!!! My favourite refreshment for summer..nice presntation.. Thanks a lot for stopping by my blog, me too glad to follow you..
That’s one of my favorite thirst quencher and so, sooo refreshing! Nice to know abt ur blog. U have a nice set of recipes… Buttermilk looks so cool and refreshing… YUM! 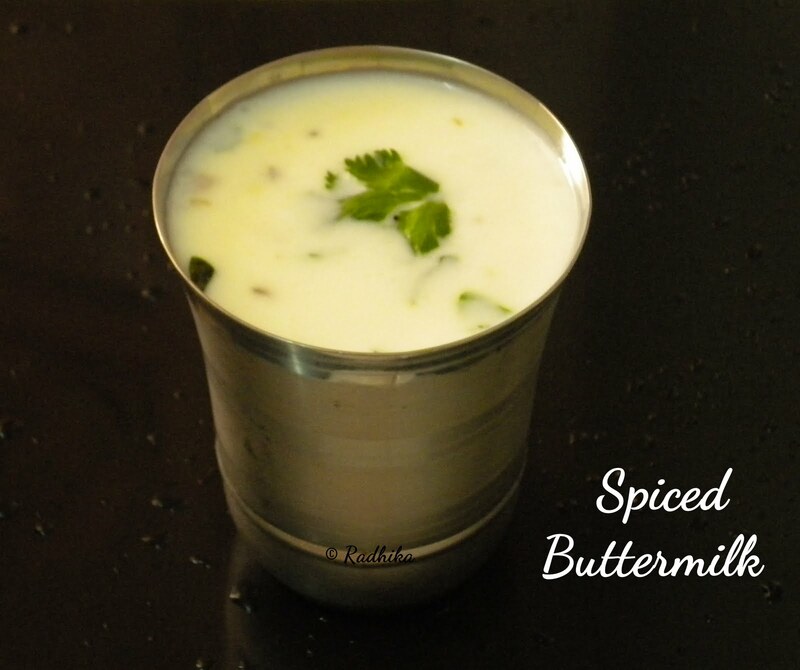 Spicy buttermilk is my grandma special, she makes more often. looks awesome. Thanks Radhika 🙂 . Oh how i love buttermilk! !, this is simply yummy, following you!! 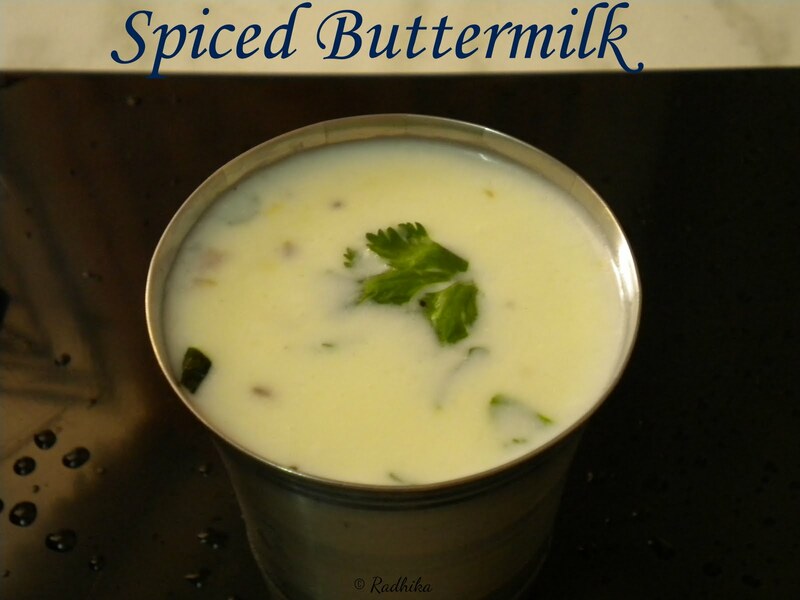 what a visual treat………….happily following u………..
I’m quite fond of this buttermilk! So yummy and lovely!